Maybe it’s because it’s one of the only parts of driving you’re not allowed to experience until you’re qualified (this will change in 2018), but motorways can be a very daunting prospect for new drivers. To be fair, at first glance they can seem complex and intimidating. 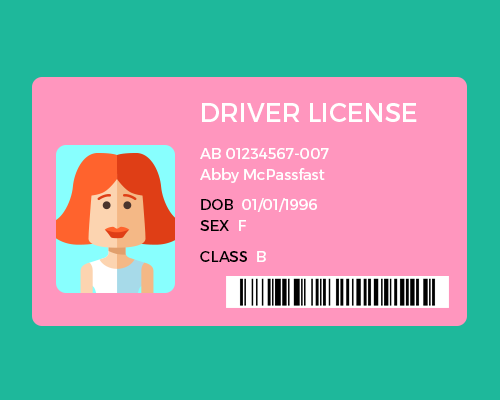 You might be surprised to learn, then, that they are some of the safest roads to drive on. In fact, many people find driving on motorways easier than using other roads. So, why have you been denied access to them until now? Well, due to the speed one has to sustain on motorways, small mistakes can have serious consequences. This means they aren’t exactly suitable to use as a training ground while you get to grips with the basics. Driving at a high speed means you have less time to react to any changes. On motorways it’s therefore really important to make frequent use of your mirrors and look further ahead down the road. This should enable you to anticipate any adjustments you need to make in good time. You enter motorways via slip roads. These short roads give you time to build up your speed and find a gap between vehicles where it is safe to join. At no point should you stop or reverse on a slip road. It’s important to give priority to vehicles already on the motorway—though cars will usually be ready to move over and allow new traffic in when they see slip roads joining. Sometimes slip roads merge with the motorway and become the left lane. In these scenarios you need to build up your speed to match that of the motorway traffic, but you don’t need to worry about slotting into other lanes. The main thing to understand when it comes to motorway driving is which lane you should be in. The most common motorway gripe you will hear from experienced drivers is about people ‘hogging’ the middle lane. This is because, in the simplest terms, the middle and right lanes of a motorway are for overtaking. When overtaking at such speeds, be sure to check your blind spot (over your right shoulder), use your mirrors and indicate clearly. If there is no traffic ahead of you, stay in the left lane. Obviously you should always stick to the speed limit, but heavy goods vehicles and cars with trailers frequent the left lane and may force you to slow down. In these situations you should use the middle or right lane to overtake. 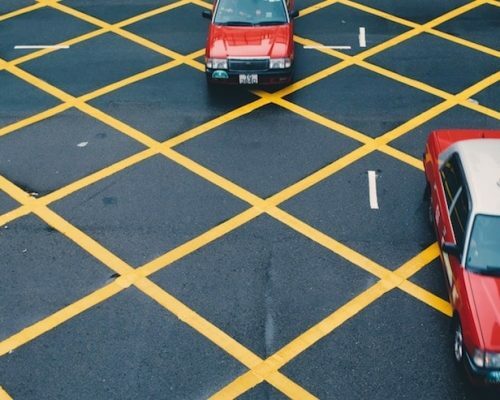 Be aware that just like slip roads can become lanes, it works the other way around too. You may be in the correct lane for the first part of your journey, but that lane could merge into an exit road at any point. Keep checking signs above and at the side of the road as your journey progresses. 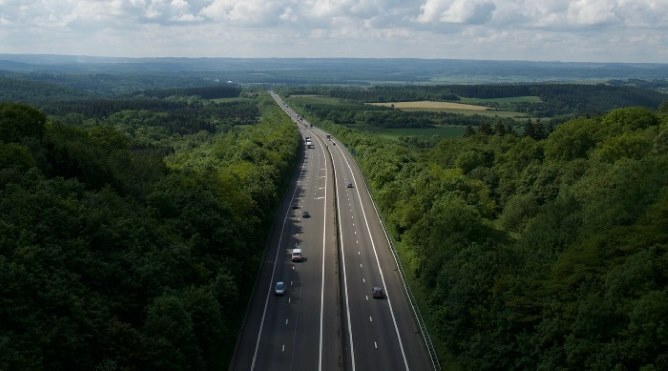 The main rules that separate motorways from regular roads (aside from the speed limits) is that walking, picking up or dropping off of anyone on them is illegal—unless it is an absolute emergency. This is for obvious safety reasons. 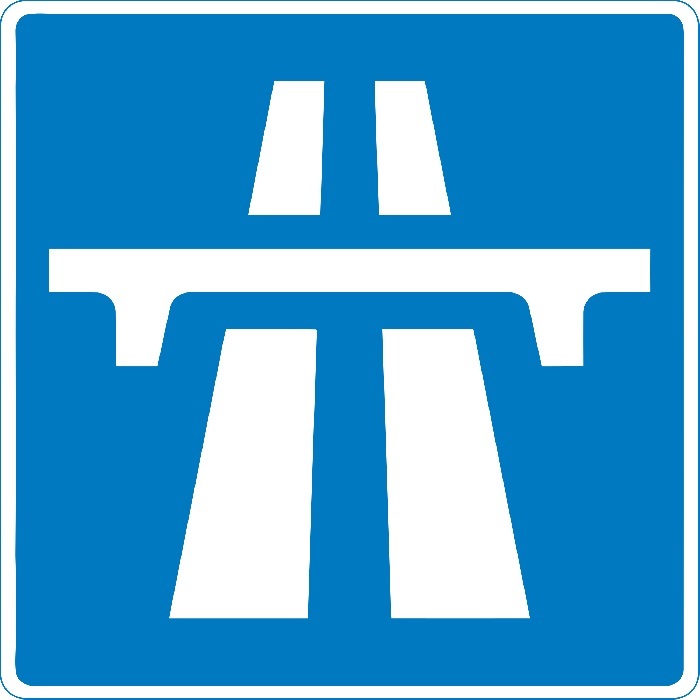 You can identify motorway signs by their blue backgrounds. These will appear on the approach to motorways (usually as part of larger signs) and then frequently along the carriageway itself. Signs for tourist destinations will have brown backgrounds and junctions (more on these coming later!) are presented as white numbers on a black background. If at any point you see amber flashing lights, this means there is a hazard of some kind that you need to be aware of. Maybe there is an accident ahead, or particularly heavy fog that day that could obstruct your view. 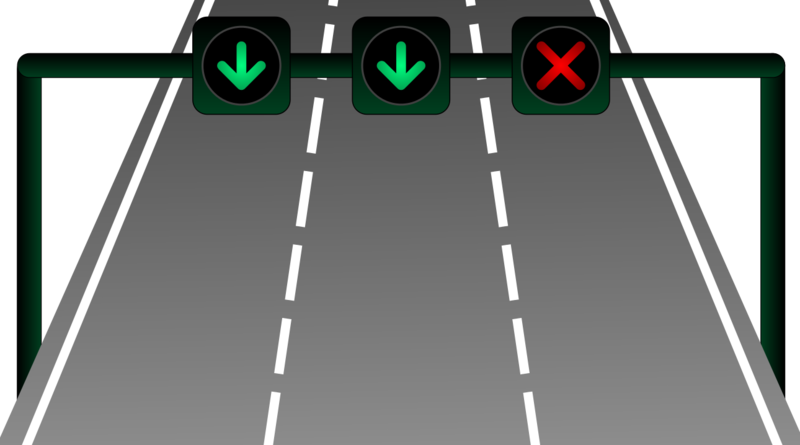 If you see a red ‘X’ above a lane, it means that this lane is closed and you should not be using it. Lines on motorways are clear and defined. You will see broken white lines between lanes and at points on the carriageway where slip roads appear. 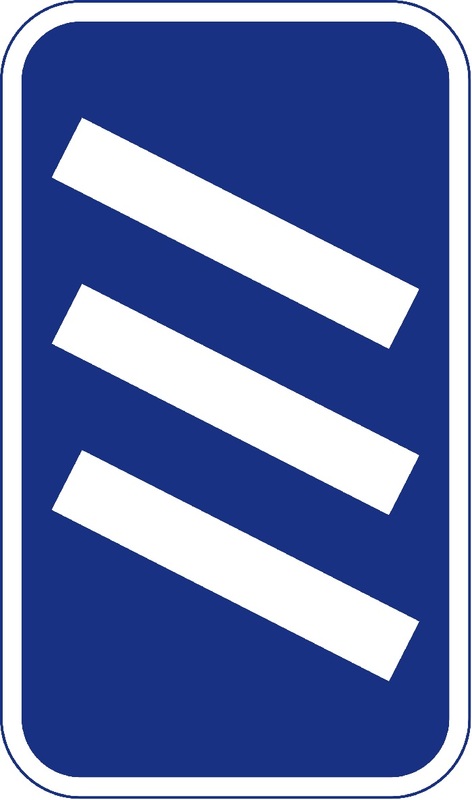 This indicates that you can cross these lines—either to overtake or leave the motorway. However, if you see a continuous solid white line, you should not cross it. 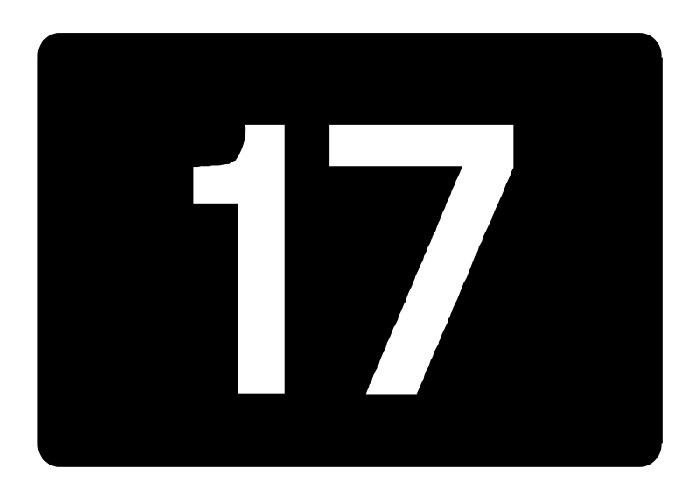 On motorways, this is mostly used to indicate the hard shoulder. Occasionally, extensive road works might mean that one side of the carriageway is closed completely. Where this is the case, you’ll be directed onto the ‘wrong’ side of the road. 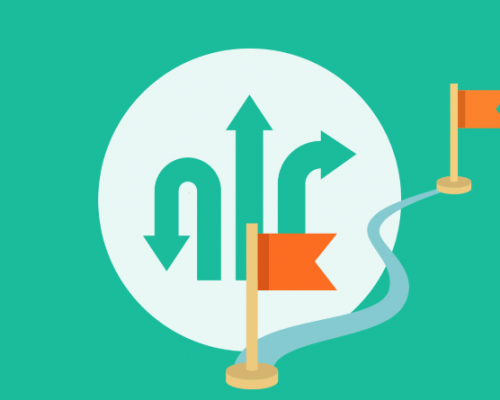 Take a look at our contraflow system guide for all the details. On classic motorways, there should be no stopping or driving on the hard shoulder unless it’s an emergency or you are instructed to do so by police. It is incredibly dangerous to stop on the hard shoulder, as traffic passing by is moving incredibly fast and drivers may not notice you until the last minute. If you find yourself in a situation where it is absolutely necessary to stop here, be sure to exit your vehicle and wait away from the road for help. Hard shoulders are equipped with emergency phones at regular intervals so try to park near these points, if possible. To switch between motorways or leave them altogether, you exit via junctions. Before starting your journey make sure you know the number of the junction you need to use. The closer you get to your exit, you should see it marked on signs above the road. Make sure you are in the left lane as you approach your junction, so you don’t feel pressured to make any last minute manoeuvres. Countdown markers will appear when you are 300 yards from a junction. This is a sign with a blue background and 3 white slanted rectangles. They also mark the 200 and 100 yards point, with the number of rectangles on the sign decreasing accordingly. If you make a mistake and miss your junction you must carry on and exit at the next opportunity. As soon as you are on an exit slip road you need to start reducing your speed. This may require more braking than anticipated as you’ve adjusted to motorway speeds. 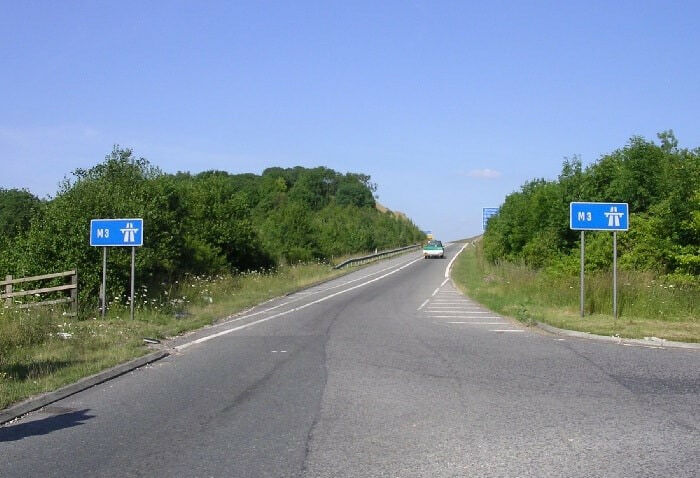 Sometimes, between the motorway and the actual junction, a deceleration lane will be provided. The legal limit on UK motorways is the national speed limit: in this case, 70mph. You will notice that some people will be driving over or under this speed. 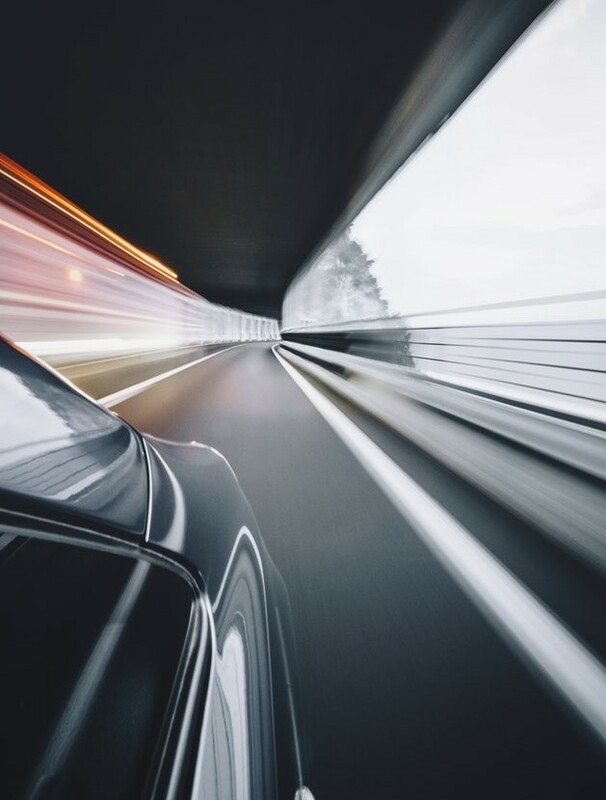 The limit is there for a reason—high speed means you have little time to react to hazards and accidents can be catastrophic. When authorities have already detected hazards or delays, you may see temporary speed limits imposed on motorways. These will be marked above each lane in red or amber lights. This kind of technology and flexibility is particularly prevalent on new, so-called smart motorways. Motorways utilising technology to actively control traffic were introduced to stretches of UK motorways in 2006. There is now a lot of investment in expanding these ‘smart motorways‘. You will likely see them on your travels around the country. The technology is mainly used to adjust speed limits in reaction to developing hazards. They can also implement an ‘all lane running’ policy. This involves opening up the hard shoulder as an extra lane, with the aim of easing congestion and promoting a steady flow of traffic. On smart motorways you should follow instructions on the gantries (the signs on the bridge-like structures above the road) as your journey progresses. You may wonder, with the hard shoulder being used as a lane: what would happen in an emergency where you need to pull over? Smart motorways aim to have emergency refuge areas dotted every 500m or so along the carriageway. They also intend to reduce the number of accidents by using extensive signage and CCTV coverage. So, we hope you feel a little more prepared (even excited?) to get out on the motorway and see where it takes you. They really are the best and most efficient way to get around the country. 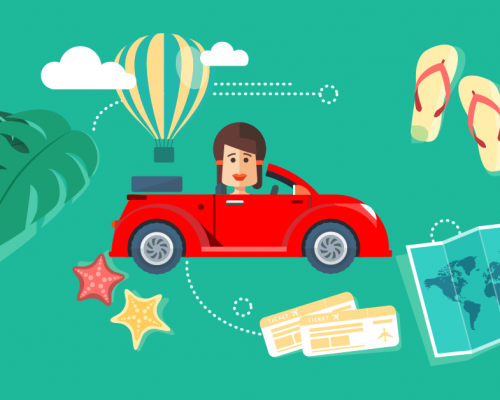 As long as you follow the rules and keep aware of everything going on around you, they can make for a relaxing and enjoyable driving experience. Feeling nervous? Check out reasons to take motorway lessons with your instructor. We’d recommend you take it easy though, staying on the same stretch of road for too long can make you drowsy. 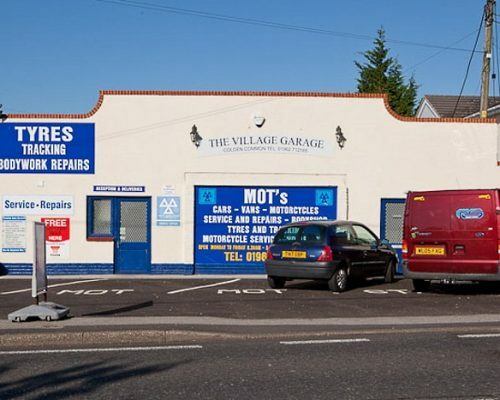 This is a great excuse to make use of one of the best parts of motorway driving—service stations! Grab a coffee, a snack or even a nap! 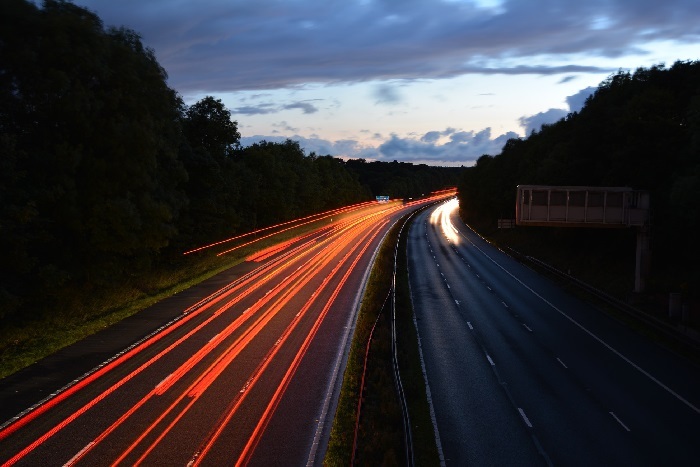 Want more information on smart motorways? Keep your eyes glued to our blog section—we’ve got lots of exciting content coming up! Plus, be sure to check out what our instructors think about learners on motorways!